There are quite a few snookers in Texas Hill Country, and these pool-playing tips might just help you to become one of them. Whether you play billiards for fun or for the wager, there’s no better place than the 4 Way Bar & Grill in Lakehills to put your skills to use. 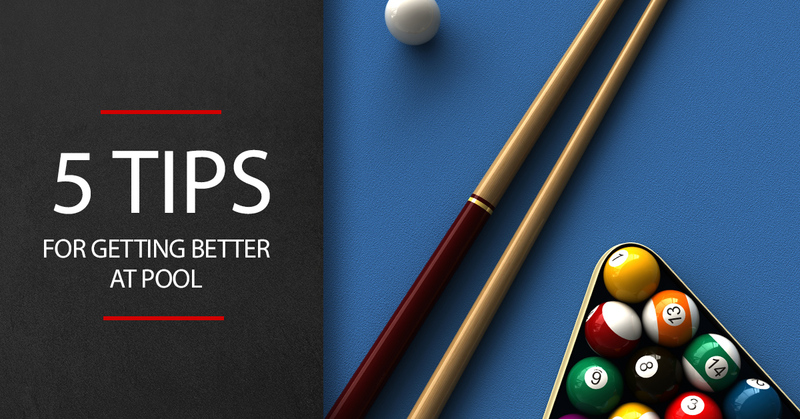 Check out these tips that’ll help you improve your pool game, and stop by our bar and grill in Lakehills to put them to work. We have a delicious menu of bar and grill classics, live music, and pool and poker tournaments throughout the week. How many different ways can you hold a wooden stick, right? Wrong. When it comes to holding the pool cue, everyone has their preferred method. In general, though, the best method is to treat your cue like the scope of a gun. You want to line up your cue to be directly nestled below your chin — this way, you can scope out your shot like you’d keep eyes on a prize. The front end of the cue is important, too. The rule of thumb (literally) is to place your hand on the table, leaving a bit of space between your palm and the surface. Then, raise your thumb slightly and rest the cue on the side of your thumb. You’ll want to chalk the cue before every shot you take. You know that clicking sound you hear when you make a bad shot, the equivalent of a dinky ground ball you hit off the end of your bat in baseball? That’s due to lack of chalk. Without a properly chalked surface, you’re more apt to miscue and have the cue tip totally slip. There’s no such thing as too much chalk, so don’t forget to chalk it up every time. A tell-tale sign of a beginner pool player is that they go for the easy shots. If one of their balls is right by the pocket, they’ll shoot it in immediately — and they won’t even think about how they’re setting themselves up for next shots. Instead of instinctively going for those easy sinks, try leaving your balls right by the pockets. This creates a barrier for your opponent. They can’t easily get a ball into that pocket, and trying might risk hitting your ball in accidentally. In situations where you don’t have a good shot, avoid just hitting any ball you see as hard as possible and hoping for the best. This is one of the best ways to accidentally hit in the 8-ball, scratch, or get a foul. When you find yourself in these situations, play defense instead. Hit the cue ball lightly to block an opponent’s easy shot. Try to position the cue ball so your opponent has to make a hard bank shot. Whatever you do, try to play defense before playing blind offense. It’s no secret that drinking a beer or two helps get those pre-game jitters out of the way. You can feel more confident, relaxed, and carefree going into your shots. And hey, even if it’s not science, who wants to play pool without an ice cold brew? At our bar and grill in Lakehills, you can get great beer on draught or in bottles. Stop by our bar and grill in Lakehills today for a great meal, live music, and, of course, billiards tables. We hope to see you soon at The 4 Way Bar & Grill in Lakehills.